Trends keep changing and evolving, and in case of the Maldives – it occurs at a remarkable speed where you won’t see the same trend after a couple of months. Perhaps it is a sort of settlement for the lack of seasonsÂ (the Maldives is a tropical island nation… so you get the point) But the convenience of this situation is that when the rest of the world is switching to ten layers of clothing while cussing the freezing winter temperatures, we can actually enjoy flimsy Summer pieces through out the year and fashion them in any way we like – much to the envy of cold climate dwellers. 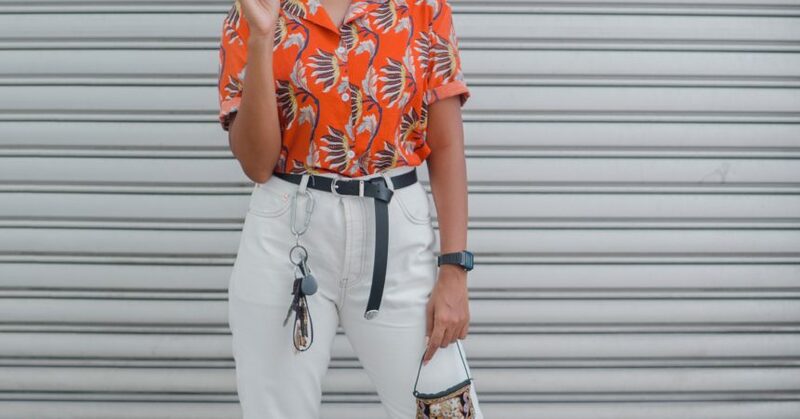 That brings us to this outfit post: from the recent most-seen-on-the-busy-streets-of-Male’ trends, it has come to my attention that a large number of Maldivian men have preferred shirts with patterns printed all over them – from quirky micro prints all over the shirt to obscenely large prints of flora and fauna in the loudest, most insane colors. 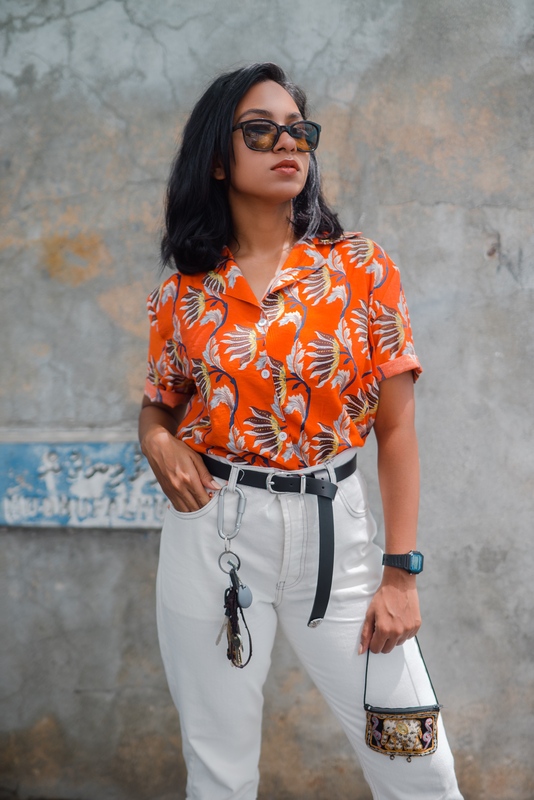 Now, I have been writing about why a printed (colorful) shirt is a must-have in every man’s wardrobe – for at least four (frickin’) years! So, it is good to see my country folk finally embracing it. But, whilst I observed them do so, I couldn’t resist the temptation to give it a try. 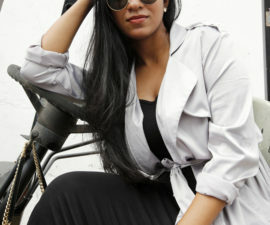 I’ve always loved men’s wear and how beautifully it captured my masculine side. So, I didn’t waste a single minute to grab a bright orange shirt with prints of flowers on them. 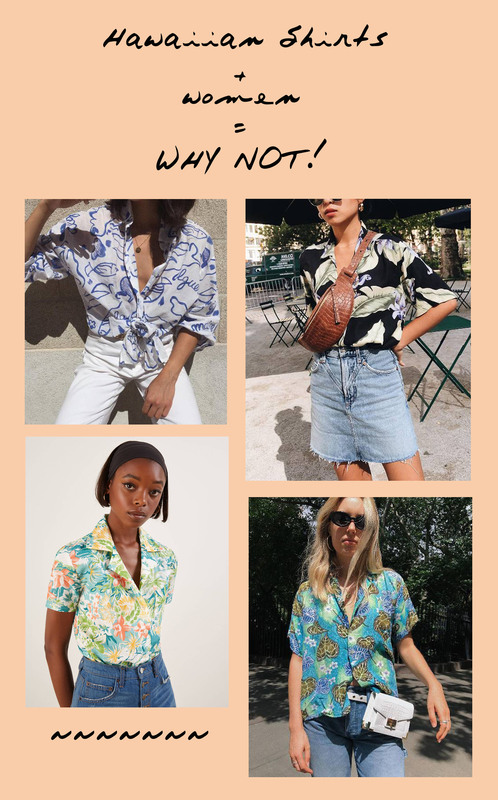 In defense of my sartorial choice – the printed Hawaiian shirt was in 2018 summer’s hotlist (seen in New York, Paris, Milan…) It was worn by literally every fashion editor, was a favorite among bloggers and celebrities alike. After all, the loose silhouette was perfect in giving the laid-back don’t-care look. 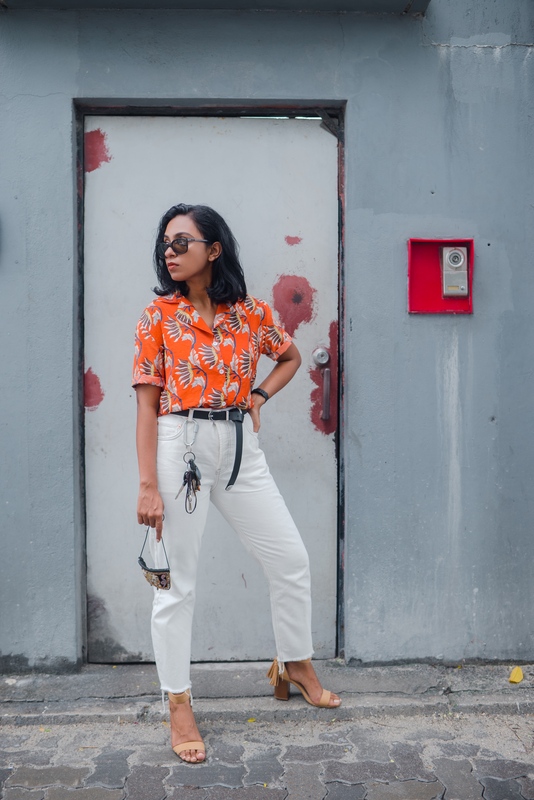 Switch your regular white t-shirt and jeans ensemble with a printed shirt, add in a kitten heel or sneakers or if you want to give a more glamorous feel; Â just pair a silk/satin skirt with heeled sandals. 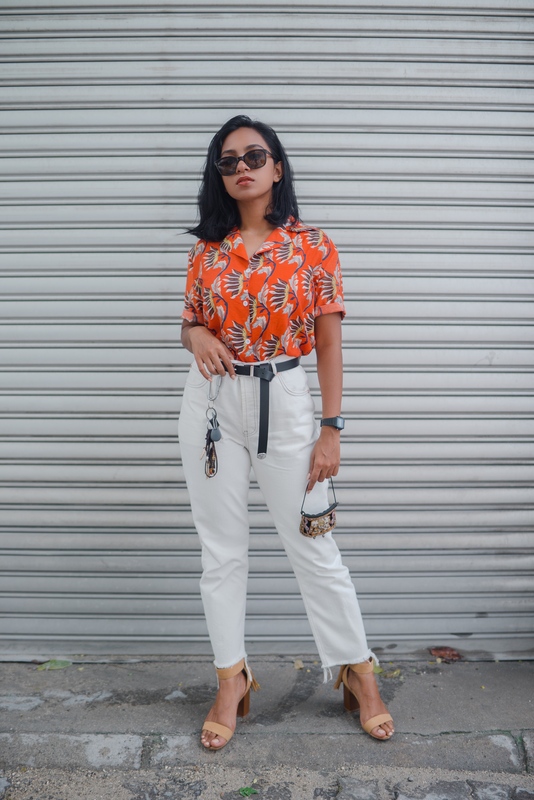 The simplest way of styling adds so much to a look – and you do not need to spend a lot for this trend, just thrift one (or borrow one from your man) the only thing to keep in mind is to find the right kind of print (something that would stand out and complements your overall look). So, may I ask again – why should only the boys have all the fun? 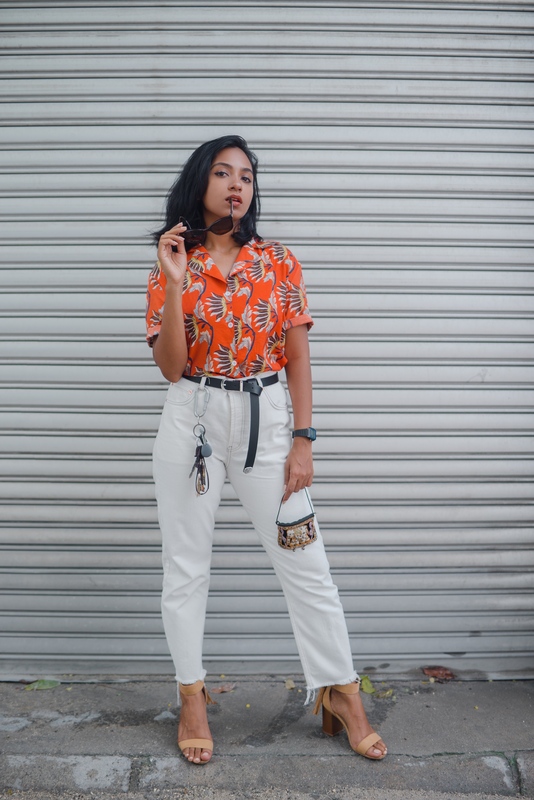 Let me know how you would style this trend in the comments!